Trying to get my life as back to normal as I can I have made a couple of more hats that I put in my shop. 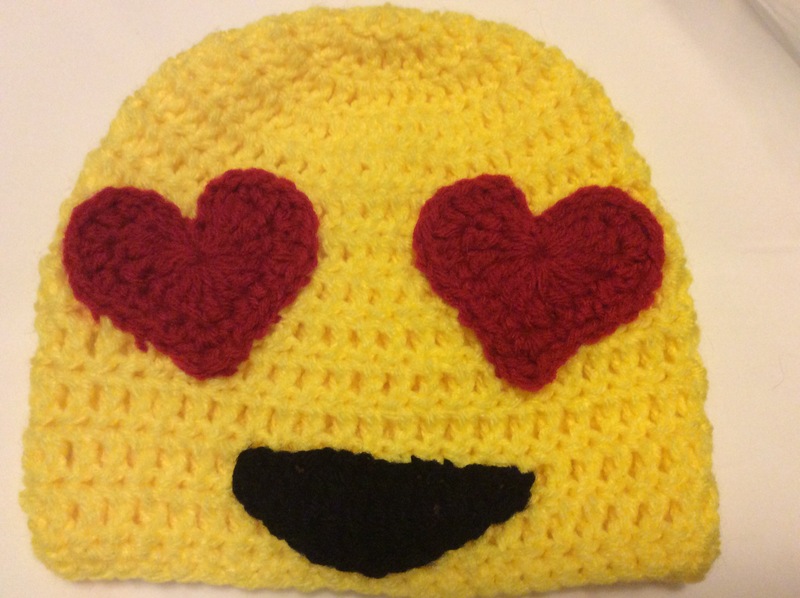 I made a heart eyes emoji hat and a Star Trek yellow shirt hat. My favorite hat of the two is the Star Trwk hat, but that’s because I’m a little bias, lol. I really like Star Trek. I’m going to be making one for myself for when winter rolls around. ﻿I can make these from size child to an adult. 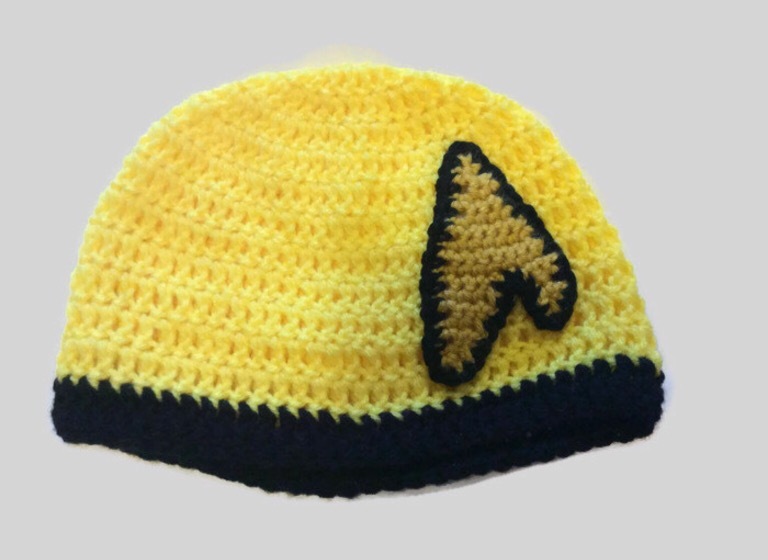 I could probably make them in a baby size, but I’d have to buy a special type of yarn that would be soft enough for a baby’s head.